Even though laminate wood floors are much easier to care for than real hardwood floors or engineered wood floors, they do require a bit of upkeep to make sure they still look stellar. It doesn’t take much to keep these floors clean, just a bit of elbow grease and gentle cleaners. 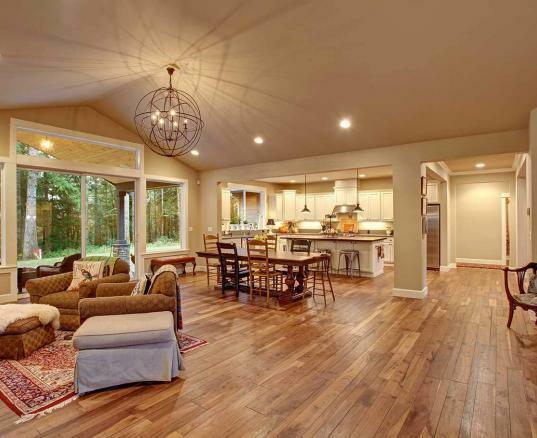 Check out these tips and tricks to clean and care for laminate wood flooring. Clean any spills as soon as they happen. This will cut down on damage to your laminate wood floors. If you do miss the spill, then use a warm, moist cloth to clean the stained spot. If the spot is stubborn and won’t go away after a few treatments, then you’ll need to bring the big guns out. Don’t worry though, it doesn’t take a lot to deal with stubborn stains. Use ice to harden the stain, and then gently scrape it off with a plastic scraper. Be careful not to damage your floor’s finish when doing this. Use a soft cloth to sweep dirt and dust off your floors, or a soft bristled broom would work too. You can even use a vacuum if you want to, but make sure it doesn’t have a beater bar. Even if you can turn the beater bar off, it will still be in the way and can damage your floor. When it comes to mopping your laminate wood floors, use gentle cleaners or cleaners specifically made for laminate flooring. This will be somewhere on the label of the cleaner, so just make sure to double check before you use it. Steam can damage your laminate wood floors. Even though it may seem like a good idea and easier to do than mopping, the high temperatures can damage your laminate floors. 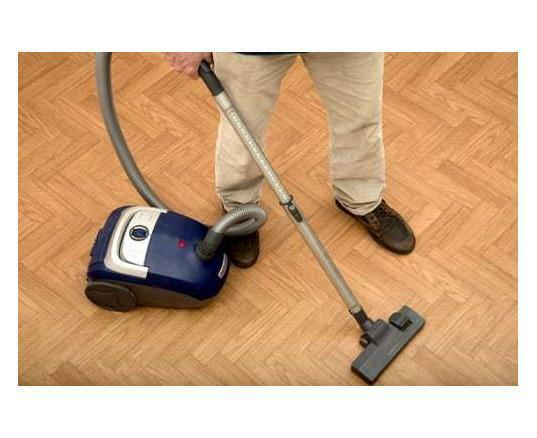 Check with the manufacturer to see if your new laminate floors can be cleaned with a steam mop. A usual good rule of thumb is just to use the gentle cleaners and a soft mop head to clean your floors. It may take a bit longer to mop than it would to clean with steam, but it will be better for your floors in the end. Rugs at the entrances to your home or to the room with your laminate wood floor will help cut down on dirt that will get tracked in and will also help cut down on wear and tear that floors will just naturally get from foot traffic. We have a great selection of laminate wood floors for you to look through. We strive to provide quality flooring at a fair price. Since a lot of our floors are made locally, you get them at a cheaper cost because we don’t have to spend as much money transporting the flooring. Reach out to us with any questions you may have about flooring, or stop by either of our two locations to ask us in person!